AMC’s Fear the Walking Dead is finally back on the air (Sundays at 9/8c on AMC) and it has inspired me to share our best survival skills you must know in order to survive any scenario– whether this is a catastrophic natural disaster or a situation where the dead keep walking, you’ll want to to make sure you and your loved ones are prepared. Survival hacks and skills are essential for anyone preparing for the worst. Prepper or no prepper, people from across the globe have always been prepping to survive. With whatever situation or circumstance they always have at least one or two survival hacks and skills up their sleeve. So what are the most useful survival hacks and skills that can get you out of any hitch? There just isn’t one or two, but a ton. You never know what nature can throw at you on any given day wherever you are and whatever you may be doing. That’s why you need to learn to be skillful in so many things. Here’s a list most survivalists will consider to be a haven of survival skills and prepper hacks. Read on! These survival hacks and skills for kids are vital to ensure that even your kids can increase their chances of survival in the event of a disaster or an emergency. There’s no other way to teach them the will to live than in a survival situation. These hacks will help them grow up being prepared for whatever there is to come. Preparedness is something you can teach your kids even at an early age. Some things take time to develop so kids need to practice them while they’re young. These are 32 essential survival hacks and skills you can coach your little ones with. Children must know what to do when they’re left alone or when they think they’re lost. This is a safety guide and tips for the whole family on survival hacks and skills for kids. It will show your kids the basic methods that will help them in the event of an emergency. How fully prepared are you? These primitive survival skills are a great way to go back to the basics. Modern tools are not always available especially when you’re out in the wild. Be prepared when everything goes back to basics and learn how to use these tools. If you think a bug out bag may be inconvenient for you, then you should try a pocket-sized survival kit. Here are a few ideas on how to make one in order to help you survive for a day or two. Be prepared while on the go with this Altoids survival kit. Who knew that something this small could be so handy? Finding for food and water when out in the wilderness is one the prepper hacks that must be learned. It is important to always stay hydrated especially when SHTF. As primitive as it can be, it will be a matter of life and death when all your food and water run out. Exclusive: The Aquastiq is palm-sized, easy to use, and provides 1000 liters of clean water. Preparedness in the harsh winter cold is essential, especially for an emergency situation. This list is a comprehensive one to date. It will show you what to pack in your winter survival kit and will make you feel warm just thinking about it. 8. Do You Know 25 of these Native American Survival Skills? Have you ever thought about how our ancestors got through the harshest elements? We all know how difficult things can be even with today’s modern amenities. Well, here are some of Native American survival skills you can start learning. These skills also show how interesting our ancestors’ way of survival was too! Do you know what to do when SHTF and you don’t have a bugout cabin ready? This is one of the wilderness survival hacks you should have in your sleeve: how to build a survival shelter from the California survival school. Survival enthusiasts say that when you’re in a pinch, it’s all in the head. I know, it’s one of the survival tips and tricks I never really thought about thoroughly, but it makes sense. This article will show you a few ways to stay calm in a crisis to increase your chances of survival. Thirsty and your water supply ran out? When in an emergency situation, we will always do what we can to get what our body needs. You can actually filter, purify, and convert dirty water into safe drinking water on your own if you have the skill set for it. Learn how to make a DIY survival water filter using materials around you. Also, check out my favorite portable water filter. It’s yours right here. Survival Life is the best source for survival tips and gear to make it out alive in a disaster or emergency. A lot of people can start a fire in good weather conditions, but what if the conditions are bad? Learn the two most important survival tools and skills even when not everything is working in your favor. Do you want to learn how to become a true outdoor survivalist? How will you proceed if the conventional ways are taken out of the equation? This is a list of bushcraft survival skills that will help you survive any disaster you might find yourself in. If you think your life is cruel, worry no more! From finding water/food to navigation skills, this article will show you how you can learn personal survival skills for the everyday Joe and Jane. 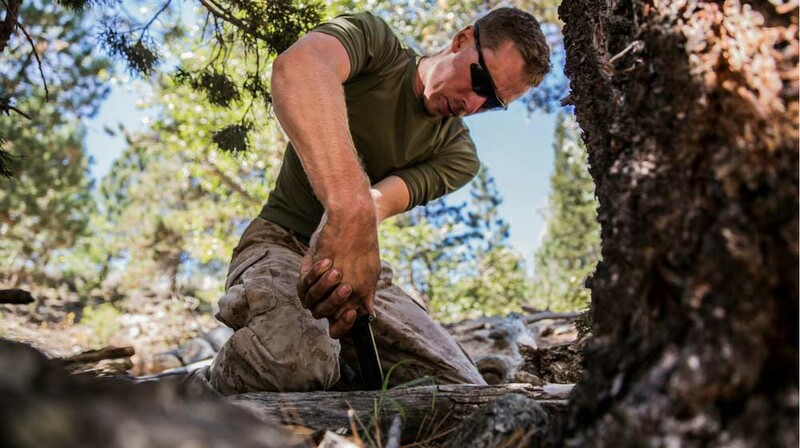 Some think that practicing survival hacks and skills is one serious task. You can actually have fun with these 5 survival skills you can practice while camping – from building a shelter to identifying edible plants. My favorite tool, the Aqualight, can light your campsite, boil water and keep your valuables dry all in one durable, collapsible canteen! Do you think you’re a true survivalist? Survival depends on how knowledgeable and how skilled you are when it comes to the outdoors. Check these outdoor survival skills that will give you everything you need to know to truly survive. How well you think is the best weapon you can have in any given situation. Being prepared for an emergency is worth nothing at all if your mind is not up for it. Read about the psychology of survival and why your mind matters most. Afraid that you might eventually run out of supplies when SHTF? Hunting is more dangerous than just using traps to capture food. Well, here’s 5 sneaky survival snare traps to keep you alive while you’re searching for a more stable source of food supply. There are numerous survival hacks you can find on YouTube. It’s definitely another platform that preppers need use to further hone their skills. You can choose any YouTube survival skills videos from this list to see what I mean. A well-built shelter can keep you alive when you’re out in the woods at night. You can learn how to make a DIY emergency shelter with the materials around you. Survival Life is the best source for off the grid living, tips and most especially survival gears. Outdoor living has become way too comfortable because of what modern technology has to offer. However, it is still vital to learn primitive survival skills to have a thorough knowledge of living in the wild. How can you tell if you’re facing someone who is very good at deceiving? Do you know Jason Hansen? If not then you’ll know him by learning these videos on essential survival skills you didn’t know you needed. Are you survivalist newbie? No worries! Everything starts with the basics and no one becomes an expert overnight. This survival skills infographic will show you 13 essential skills to build a foundation on what you need to learn now. What if you lost all the tools you’ve prepared before SHTF? This video will show you that making simple tools from flint can be the only way to make things you need for survival. What if you don’t have flint? Grab this firestarting kit here. Have you gone through your survival skills lately? How do you find water, get food, and build your own temporary shelter? This video will show you the top 5 survival skills you need to get through SHTF situations. Never underestimate how devastating a drought can be for everyone? It’s a serious matter that everyone in the prepper community should be aware of. This is why this list of tips for drought survival will help you learn how to survive natural disasters. Do you know that you can use your poncho to increase your chances of survival? It’s actually more than something that protects you from the rain. Check out the 10 clever survival hacks using a poncho! Grab an assortment of ponchos here. You might think you don’t need any of the urban survival hacks that preppers keep blabbing about because you live in the city. However, you will need street survival skills to keep you and your family safe in the event of an emergency. It may sound unbelievable and it’s fine if you’re hesitant at first. Did you know that you can open canned goods with your bare hands? This may come in handy in the event that you lose all your tools, you know. Better learn it while you can. The military has some of the most extreme survivalist hacks. Well, they have to learn these things if they have to do what it takes to protect a nation. This article can teach you 7 military skills you can use for survival without having to actually join the Military. Do you consider your pet as part of your family? You don’t want those furry little creatures to just disappear in a disaster situation. Start learning these survival tips that include prepping with your pets. Have you found yourself in a situation wherein you needed durable and long lasting materials for survival? This easy to make and long lasting homemade survival cement may do just the trick! The Native Americans are the best example when it comes to survival. These long-lost Native American survival skills have proven there worth over the centuries. Just when you thought you knew it all! The basics of blacksmithing can indeed be a very useful skill. You can either make what you need for yourself or for others in exchange for what you need. If blacksmithing is a valuable skill in the old days, it still has a lot of good uses in these modern times. Have you heard of urban survival? How will you deal with with a bad situation in the urban areas? If not then these six street smart urban survival skills will get you through every street corner in the midst of chaos like never before. Sometimes, the best survival tips can be found in the most unlikely of sources. Experience is the best teacher and a person will gain wisdom in every experience. These three “R’s” are tips from grandpa that can help you in a survival situation. Flood occurrences are a common thing for a lot of people. Most of us have a certain experience with floods except for those who have lived their entire lives in the uplands. However, when worse comes to worst these flood survival tips will help you through a disaster. Hurricanes are one of the most devastating natural disasters in the world. Learn useful tips on what you need to do before, during and after a hurricane. In order to increase your chances of surviving a hurricane, this can only be achieved by being prepared. What are the top survival hacks or skills for you? Check out the top 3 things you need for survival and learn which gears you will need in order to survive a possible fallout. Each and every prepper can have their own ways of approach and guidelines in a survival situation. However, no single solution solves all your preparedness problems. That is why there is an infinite number of ways to solve them. Watch this video by AlfieAesthetics as he gives us 50+ survival tips! Having the right knowledge in handling difficult situations is always a good thing. Take the time and exert the effort to absorb these survival skills as much as you can. This gives you the highest potential to survive the worst of the worst while hoping for the best! Get the Hoffman-Richter Wolf Fixed Blade Knife with Belt Holder Sheath and reward yourself an exceptional tool with superb cutting and safety features. Purchase now from our Amazon store! Have you learned a lot? Excited to learn more? You learn how locksmithing can increase your chances of survival! Want to be able to rely on yourself in any and every situation? Check out this full-proof system. Tune into Fear the Walking Dead on Sundays at 8/9c on AMC. Do you find these survival hacks and skills useful? Have you tried doing any of these by yourself? Do share your stories in the comments below! Editor’s Note – This post was originally published in January 26, 2017 and has been updated for quality and relevancy.